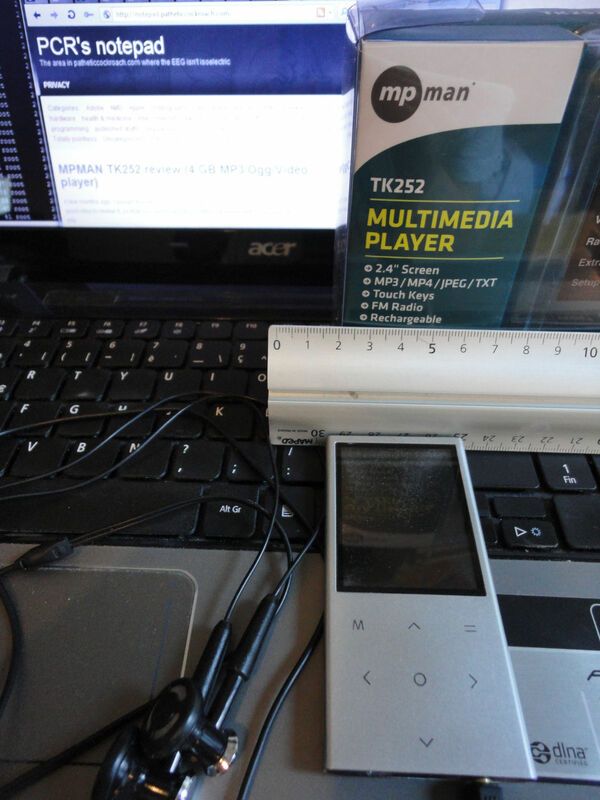 A few months ago, I bought this MPMAN TK252 MP3/MP4 player, and I thought it might be a good idea to review it, so that you can know if this multiformat player (with Ogg support!) is for you. When I opened the box, I was first surprised by its size: although it’s almost 10 centimeters tall, it still fits in the palm of my hand. It fits in my pockets too. 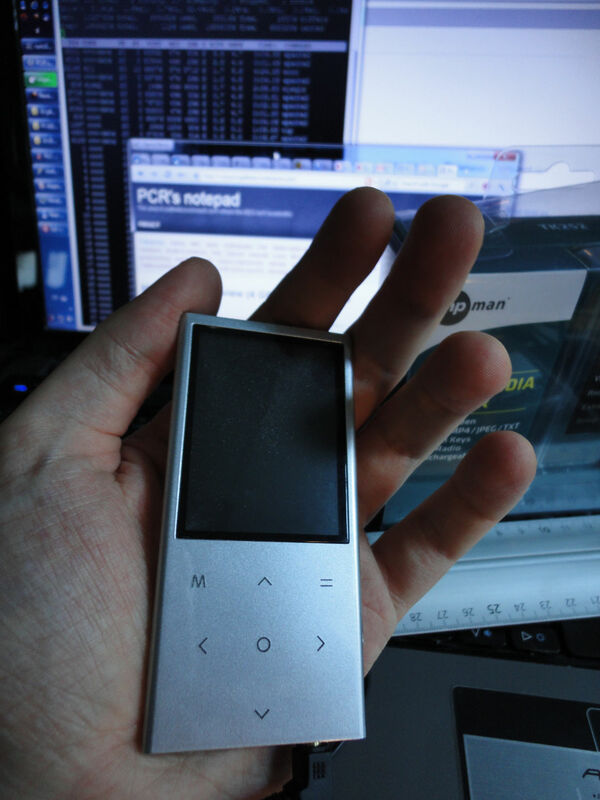 So, the size is okay: not too big, but still the screen has a size (2.4″) decent enough for videos. 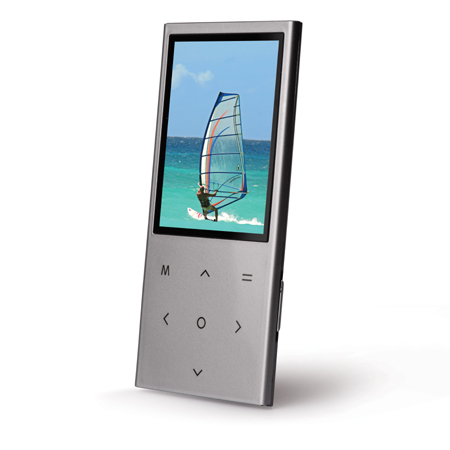 The controls are easy to use and can be locked by moving the off switch to a lock position. The menus are easy to navigate. To play music, you can choose between “all music”, by artist, by album, by genre, by playlist, by “star level” (ie rating), by tag or by folder. The sound quality is correct with the provided headset. When you turn the device off and back on, you have the option to select “now playing” to resume the music where it was when you stopped. 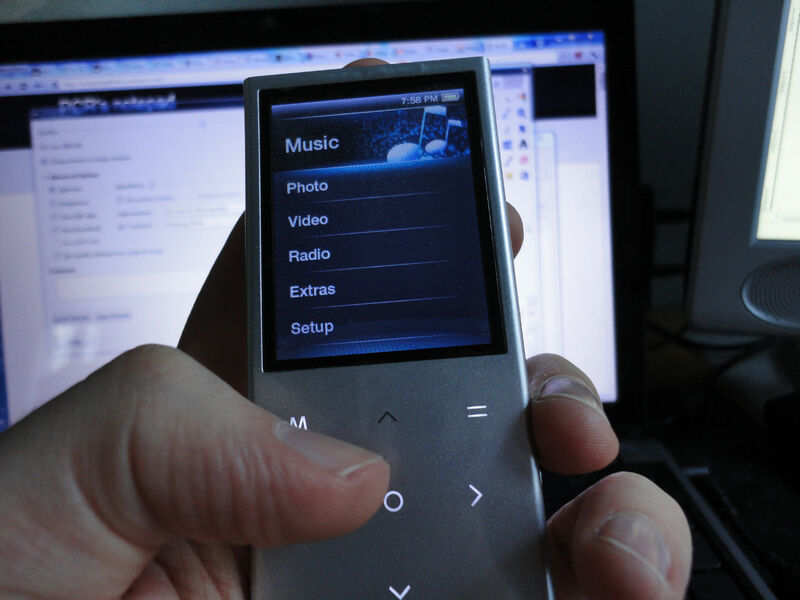 The radio function works nice, you can save 40 channels. The reception is a bit weak, though. In a well-covered city this won’t be a problem, but in tunnels are in the country you’ll probably have to try a few positions for the device to get a good reception. If I had to rate it, I’d still give it a 6/10, mainly because it’s a cheap way to play Ogg. To place this post a little more into the usual scope of this site, let’s mention that it’s my first go at using some Schema mark-up. I’m quite curious to see how it will look in searches! The battery is crap, really. After about 8 months of use, it’s close to dead, with a marvelous 3 hours or so autonomy and at least as much time needed to refill it. Well, I didn’t do any accurate measurement, but I need to reload it daily or every other day, while I use it only while going to work and to lunch. Short version: Schema = not worth the time spent on it. This page is listed like any other page in 3 out of 4 search engines claiming Schema supports. The dunces are Yahoo, Bing and Yandex. The “good guy” is Google, but even there not all the specification is used (for instance, no picture of the product, but a preview of the page like any other page – funny thing: they remove Adsense from their screenshots). The page is well-ranked for this product, but isn’t really getting much traffic. Probably simply because it’s not a well-known product though. Last but not least: the HTML validator just hates all this Schema markup. Not cool. All in all, that was an interesting experience, but I don’t think it’s worth bothering further as of today. Or maybe just for well-known products that could have more substantial traffic.